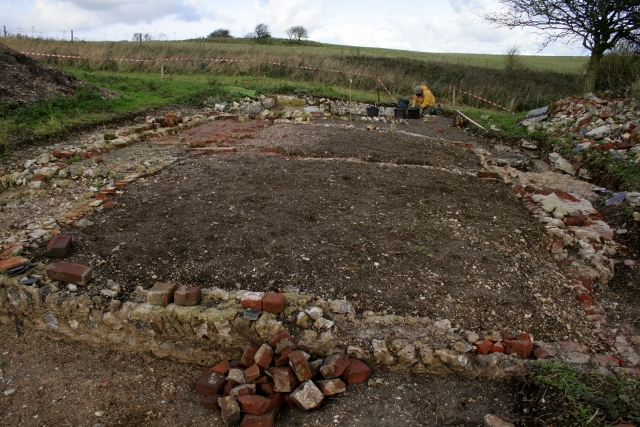 Looking N at excavated remains of Newmarket Farm Cottage. 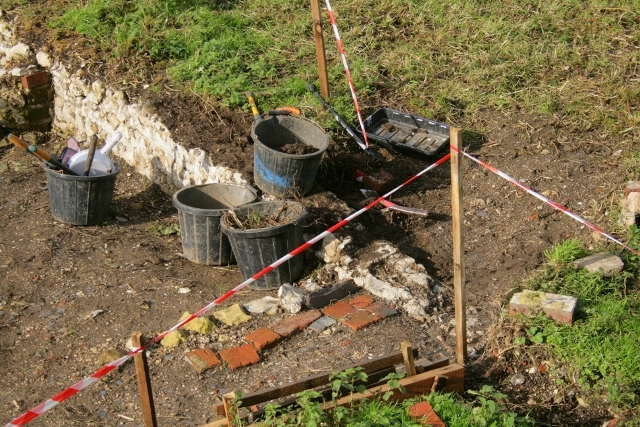 It was good to get back to digging again after our recent weekend of guided tours. Our current priority is getting the site squeaky clean, ready for a high-resolution 3d-laser scan offered us for free by SeSurveying. Looking NW at front garden gateway. With this in mind we have also started further excavation of the outside of the front garden wall to the west of the garden gateway. We delayed doing this earlier because parts of this wall are in a particularly poor state of decay. Looking SE at outside of garden wall, W of garden gateway. The original ground surface sloped downhill from west to east, and our excavation revealed that the ground sloped steeply down to the relatively level pathway surface. The 19th century pathway headed towards Kingston in a north-easterly direction, thus avoiding this steep bank. With a change of ownership in the 1920’s traffic shifted round to the west, towards Woodingdean, making access less easy. It seems that the 1950’s bulldozer, pushing demolition rubble from west to east towards the demolition rubble mound, dropped part of its load down on top of the path right outside the garden gate. 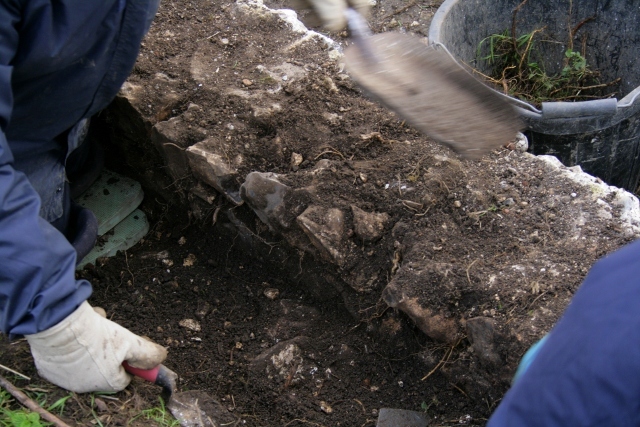 This is where most of the finds were located; the usual .303 cartridge, rusty nails, one or two intriguing metal finds, and a few bottle and ceramic shards, including some nice bits of ‘blue & white’. We always like to find a bit of ‘blue & white’! 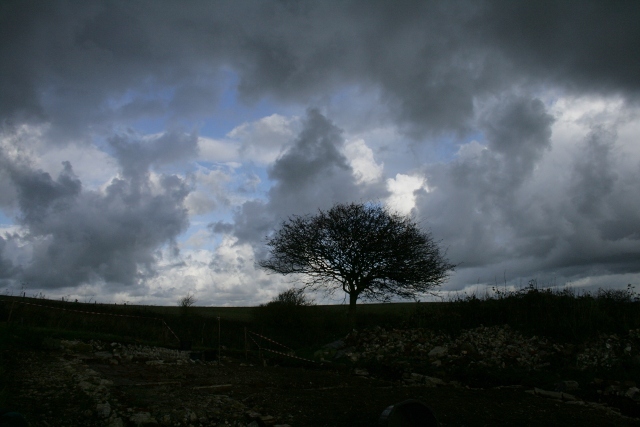 Looking NNE at Newmarket Farm Cottage site.